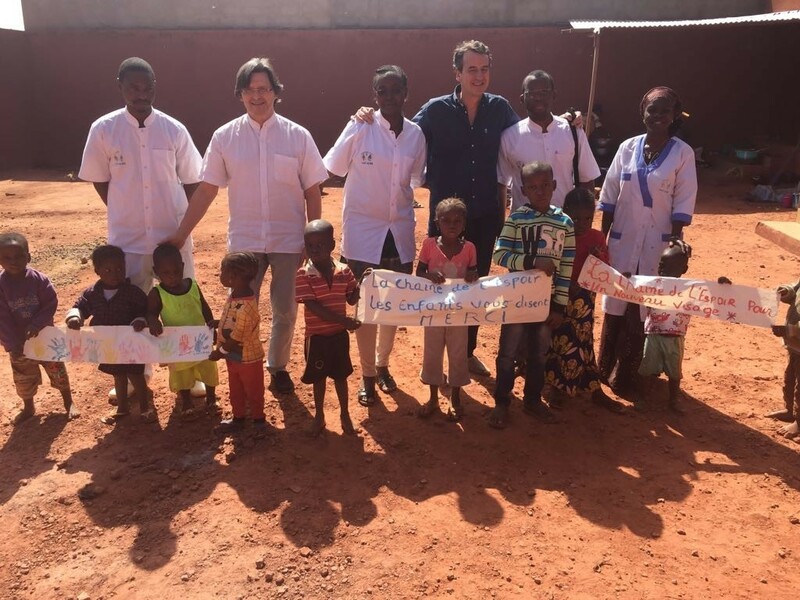 The corrective surgery mission conducted from 6 to 14 January 2018 at the “Luxembourg” Mother-Child Hospital (LMCH) in Bamako was highly successful. 50 patients were treated corresponding to the performance of 69 surgeries. One of the highlights of the mission was the exemplary cooperation with the local partners, LMCH corrective surgery team and the “New Face” organisation and its “Hirzel” centre dedicated to child reception and postoperative care. Furthermore, this is an innovative mission because of the major upstream collaboration developed with traditional doctors. These practitioners of traditional medicine, very widespread in Mali, previously gained awareness and training in the recognition of noma, cleft lip and palate and burn sequelae. Today, they play a leading role in the recruitment of patients for fielded missions. Finally, the mission benefited from good media coverage: two television reports on ORTM, before and after the operations, two live reports on RFI Paris and RFI Mali and one on MT2. CONGRATULATIONS to the entire team on the success of this mission.